One of our favorite ways to craft is by incorporating recycled materials into our craft sessions. It’s also one way that I’ve taught my kids about recycling. I found the best way to teach them was by finding a way to make it fun. The earlier good habits are ingrained, the easier it is to incorporate them into your daily life. We have also read and talked to our kids about the importance of recycling and we make sure that everyone’s involved in it in our home. But when I had them reuse different items to craft with it was a great way to get the wheels in their head turning for new and creative options. For instance, instead of me throwing out the brown paper bags the other day we made these colorful stick snails to decorate with. Or the kids love coming with different way’s to paint using items other than paint brushes so we’ve used corks, bottle caps, potatoes, and balloons to create gorgeous artwork with. 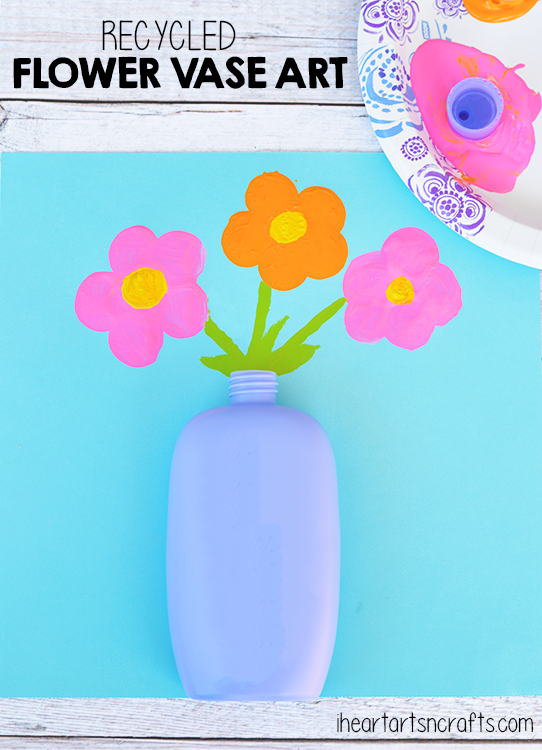 Today I’m sharing an easy Spring/ Mother’s Day craft that we made reusing a plastic bottle as a flower vase and some bottle caps that are used for stamping! 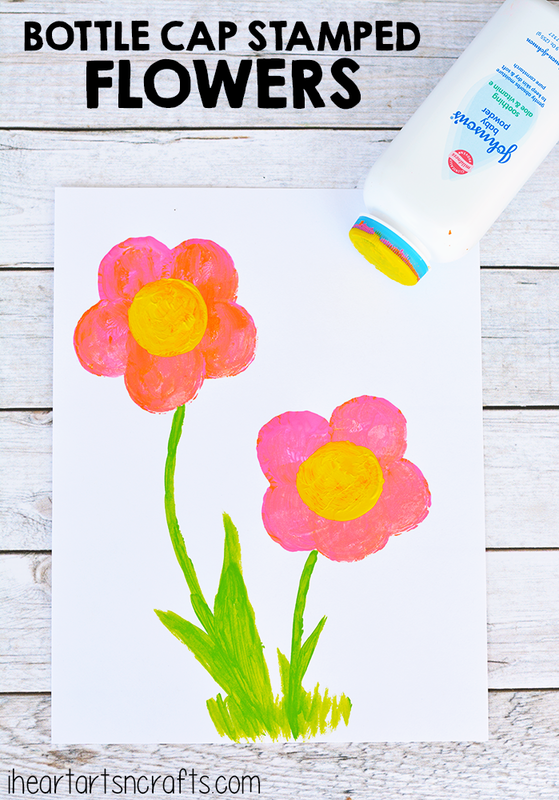 To start take a plastic bottle that and glue it to your card stock paper, make sure you glue it towards the bottom of the page so that you have room to paint your flower bouquet. Optional – You can also remove the label or even paint the bottle before gluing it to the paper. Next we took the cap and used it for stamping the flower petals onto the paper. You can use different sized caps for this step if you’d like, to create different types of flowers. 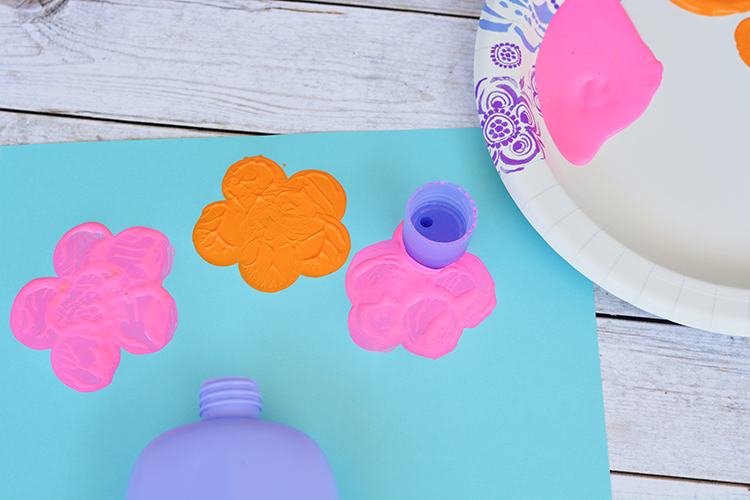 Then take some of your green paint and paint the stem coming out of your plastic bottle vase. If this is a gift for Mother’s Day you could even add a Happy Mother’s Day onto the bottle or paper. We also did a few with just stamping, where we reused a baby powder bottle that was easy for the little hands to grasp onto! Next time you go to throw something out, ask yourself if there’s another way you can reuse it. I’ve saved things like cd’s, plastic bottles, and paper tube rolls then asked the kids what they could come up with for using the items for our next craft session. You’d be surprised at all the ideas they come up with! My son had the idea of making a lion out of a 2 liter pop bottle that we shared month’s ago, I would have never thought of that! For more information and recycling tips you can visit Care To Recycle®. Care To Recycle®, a program of Johnson & Johnson Consumer Inc., provides creative new ways for parents to reimagine their recycling habits beyond the kitchen and into the bathroom, while engaging their children. Recycling no longer needs to be viewed as just another household chore; showing your kids how to recycle can be one of life’s little teachable moments that can have a lasting impact. It’s our jobs as parents to educate our children on good recycling habits. Here are some facts about in-home recycling to show you why it’s so important. 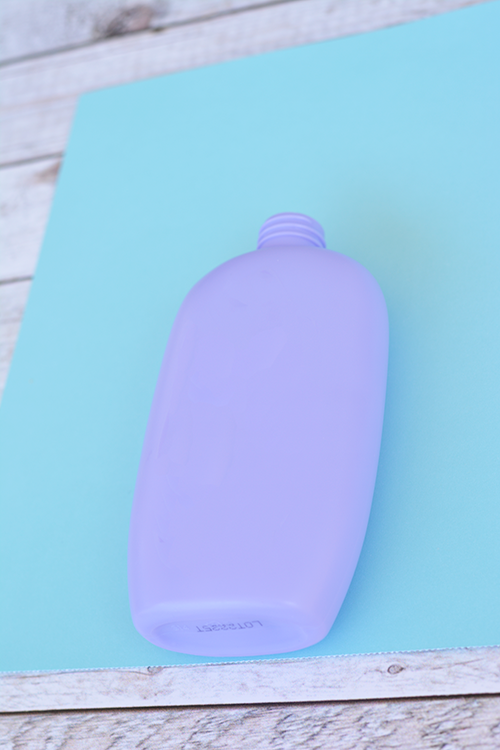 Care To Recycle® seeks to break down barriers commonly associated with recycling in the bathroom by showing that recycling in the bathroom can be easy and fun! The more you know about what’s recyclable, the more likely you are to do it. For tips and tools to become a better recycler, visit www.caretorecycle.com. What’s your favorite way to recycle?